Some are surprised to hear that wireless charging has been available in mobile phones for several years before the Apple announcement in September 2017. In fact, Samsung introduced its first commercial wireless charger for Droid Charge back in 2011. Samsung also developed a Galaxy S4 wireless charging cover & mat in 2013. 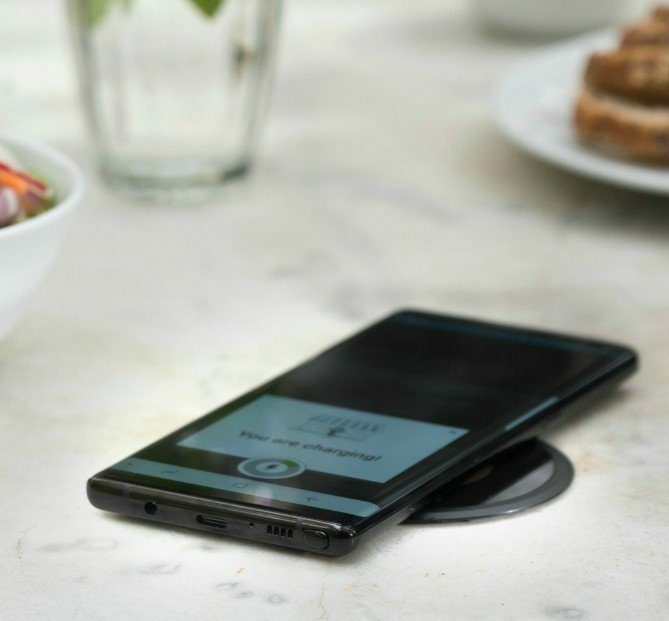 In 2015, Samsung announced “the new beginning of a new wireless charging era”. Galaxy S6 & S6 edge was the first to come with wireless charging as a basic option. There are additional phone models coming soon that will have wireless charging such as Samsung Galaxy S10 5G, Xiaomi Mi Mix 3 5G, ZTE Axon 10 Pro 5G and more. For a full list that is regularly updated, please visit our Wireless Charging Compatible Phones page. It’s safe to say that all leading mobile phone models in the market come with embedded with wireless charging, making wireless charging the standard for power. Editors note: This post was originally published in June 2018 and has been updated to reflect newer phone models coming to market for your convenience.